It has been hailed a miracle drug for its ability to reduce inflammation, pain, and anxiety – not to mention its reputed beneficial effects on Alzheimer’s disease and arthritis. Five years ago most people would never have heard of CBD, but with the legalisation in many countries of medical marijuana, this compound extracted from cannabis and hemp plants is exploding in popularity. 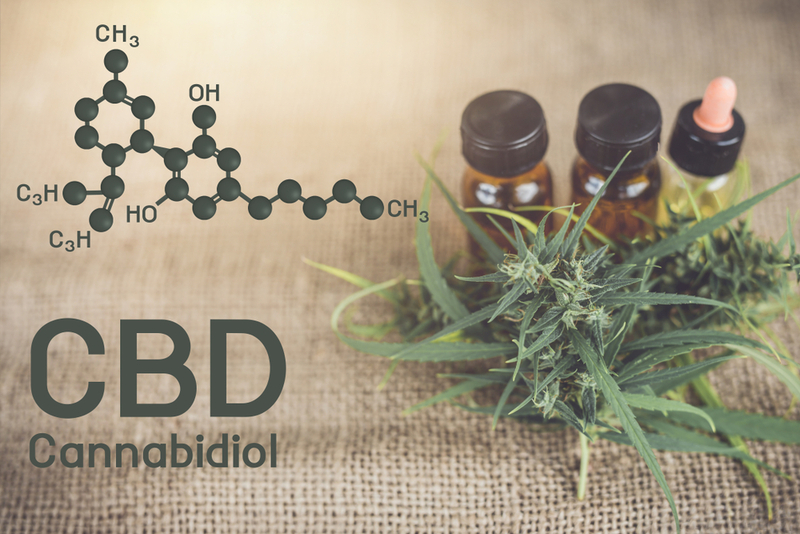 In fact, such is its appeal as a means to fuel homeostasis in our bodies, that the CBD industry is growing faster than cannabis in the U.S. and is predicted by industry analysts The Brightfield Group to become a $22 billion industry by 2022. Unlike its cousin, tetrahydrocannabinol (THC), CBD – otherwise known as cannabidiol – doesn’t give the user the high associated with marijuana. CBD is sold on the market as an oil. One of 113 cannabinoids found in cannabis, it begins life as CBDa and is known as the acidic precursor to CBD. It turns into CBD during a decarboxylation process such as cooking, smoking or vaping. When you heat CBDa to approximately 270°F, a chemical reaction removes a carboxyl group and releases carbon dioxide, converting the inactive components – which are not psychoactive – into active components. This decarboxylation process unlocks the CBD to produce its benefits. Once ingested, CBD activates receptors in the body that control things like body temperature, pain perception, and inflammation. Although more research is needed into the health benefits of CBD, studies so far point to it as having a positive impact on a number of medical conditions. A 2014 study published in the Journal of Experimental Medicine found that CBD significantly reduced chronic inflammatory and neuropathic pain in rodents. Perhaps the most compelling evidence in favour of CBD’s therapeutic benefits came in June 2018, when the US Food and Drug Administration (FDA) approved the use of Epidiolex (cannabidiol) as a therapy for Lennox-Gastaut syndrome (LGS), and Dravet syndrome (DS), both conditions characterised by epileptic seizures. Although Epidiolex is the first plant-derived cannabis compound approved as a drug by the FDA, a spokesperson for the administration emphasised that it had only approved a purified version of one CBD medication for a precise therapeutic purpose, and had not approved the broader use of marijuana or all of its components. Other conditions found to be helped by the use of CBD include Type 1 diabetes, acne, and early stages Alzheimer’s disease. There are several ways to take CBD, including ingesting capsules, mixing it with food or drink, massaging it onto your skin, or through oral application. Choose the CBD product that’s right for you here.